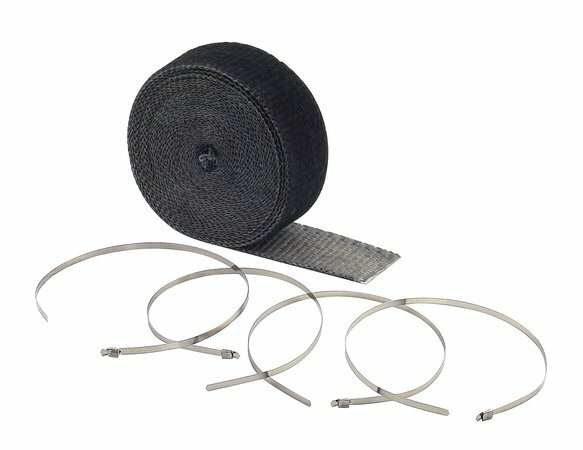 This black motorcycle exhaust wrap is 2 in. wide by 25 ft.
Our wrap can withstand 1200 degrees continuously and up to 2000 degrees intermittently. Designed to reduce radiant heat by up to 50% to increase horsepower and improve rider and passenger comfort.